Client GE.S.A.C. S.p.A. - Gestione Servizi Aeroporti Campani S.p.A. The present study consists in the verification of the airport pedestrian circulation efficiency at Year 2043, namely the year of maximum air traffic in accordance with the client forecast for the infrastructure, with an increase of 10 departing units and 11 arriving units during the 1 hour and 15 minutes peak hour slot. The pedestrian study is crucial for the delivery of a high-quality service to future passengers considering the traffic growth in the upcoming years. In order to provide them with a comfortable and safe experience it is necessary to guarantee an adequate level of service along their path throughout the airport, which go further beyond the minimum requirements. The verification of the efficiency and proper dimensioning of the linking paths and the free walking areas are also vital. 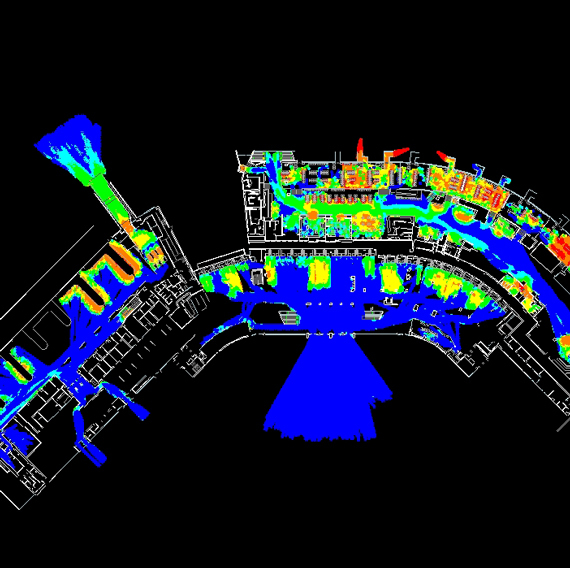 By means of a detailed analysis of the current and future situations, it is possible to ascertain the possible issues affecting the structure’s functionality with a number of models of pedestrian dynamic simulation, which have led to the accurate evaluation, and verification of both the geometrical/functional related quantitative components and the anthropometric related qualitative components. 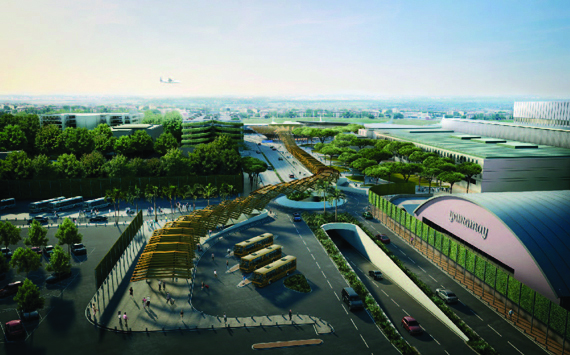 Issues affecting the overall future Airport’s functionality are ascertained through detailed pedestrian analyses on existing scenario and the future at-capacity-scenario, forecasted for year 2043.